100% cotton face is great for digital or screen printing. Heavy weight with a hood for warmth and zipper for convenience. 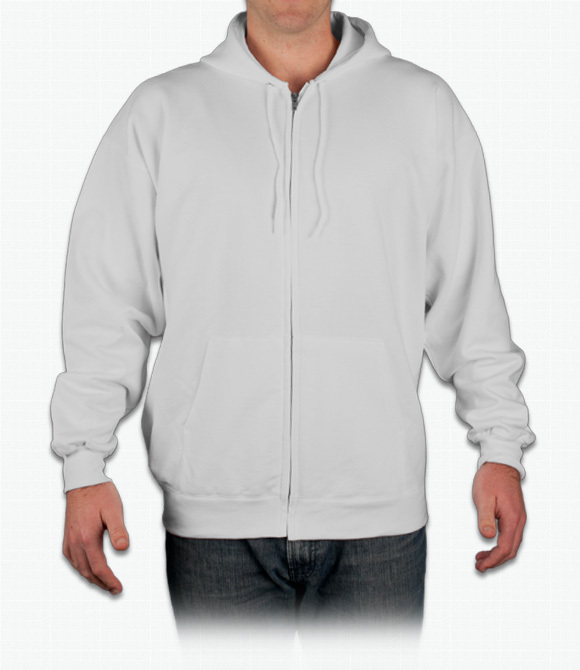 "The entire interior of the hoodie is cotton and feels very soft and comfy. Only the outside layer is polyester which you will never feel anyways." "i tried this shirt before its comfy just i hate how easyly the neck/collar part of the shirt can easily be stretched." "Actual sizes of Medium and Small were not quite standard. Small is a bit too small and Medium a bit too big. Otherwise, quality was fine."